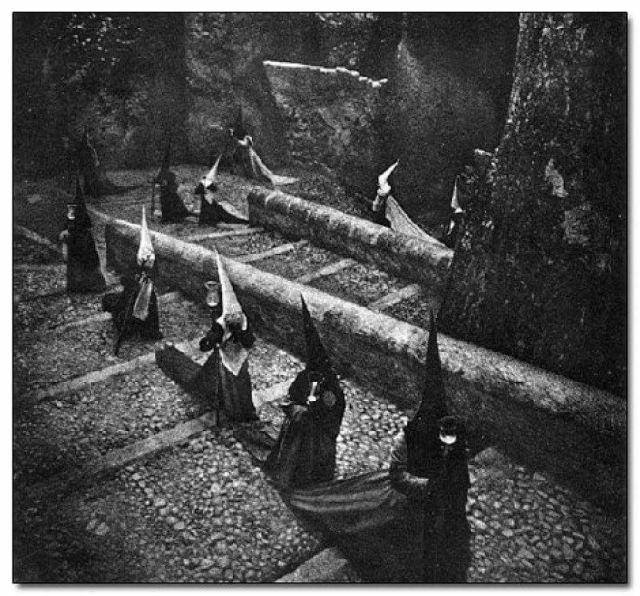 Is it an odd Masonic ritual, or did the photographer capture something more diabolical? Regardless finding this among the belongings of a missing journalist would certainly perk up the ears of investigators. I’ll peg this as more as a cumulation of thoughts rather than a proper review. 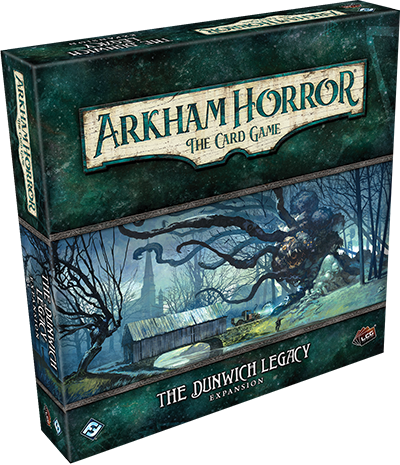 This full campaign expansion for the Arkham Horror card game has since been released for a while now, and after a few playthroughs I decided to give The Dunwich Legacy a look over. This uses the classic Lovecraft story, The Dunwich Horror, as a backdrop for the expansion. I’m not going to go through much of the cards as you can dig through tons of other podcasts and such to get a rundown of individual reviews, or you can see them yourself. I will go over the highlights of the scenarios and talk a bit how the campaign was overall. I’m also going to try and give this a light spoiler treatment. I don’t want to dig too deep into the workings of the campaign to allow for people to have some fun if they haven’t played it yet. But fair warning that some of the story elements will be discussed. The campaign itself consists of a big box expansion with 6 mythos packs (small deck expansions). In the Dunwich Legacy you’ll get 5 new investigators along with 2 scenarios that kick off the campaign. As deck building goes with the investigators, each of them have a little twist compared to the ones included in the core set. All investigators utilize one class and the neutral cards as primary sources for cards from level 0 to 5 experience. However they can have up to five level 0 cards from any other class. What’s refreshing about these investigators is that they seem to be designed with the intent to compliment core set investigators, and the limited card pool that comes along with it. My biggest compliant with the core set that it was a deck construction game without much opportunity to actually build decks. Plus the more investigators you add, the more difficult (to downright impossible) it was to make decks. The Dunwich Legacy investigators address that. I dare say that if you invest in this entire expansion cycle, you could get away with playing 3 investigators using just a single core set. Deck building will be tight and you’ll hit some rough patches with some scenarios but it can be done. Unfortunately with a 4th player you are still going to have to go the route of getting another core set. However I like that they broke away from investigator deck construction format that stuck with the main class plus one other, allowing you to stretch out a single core set a little more. The investigators themselves are fairly solid. I think of the lot maybe Jim Culver is the weakest of the bunch with the others being pretty formidable (and some might say broken in the case of Rex Murphy). This certainly adds a lot more re-play to even the base game. The investigators still adhere to their class archetypes for how they play. But each has a different feel that diverges from the core set investigators which is great. Now a bit more onto the campaign itself. The campaign expansion opens near Miskatonic University in Arkham. The players are recruited to find individuals that assisted Dr. Henry Armitage in a strange incident that happened months ago in the remote village of Dunwich. Out of the box the campaign offers a branching story. You have two scenarios and can choose either to tackle first, with each having a minor wrinkle to how they play depending if you are playing it first or second. It’s a pleasant change from the linear paths and I hope it’s something that is explored more in future releases. Extracurricular Activities – The players are trying to explore the sprawling Miskatonic University campus, looking to find one of Dr. Armitage’s colleagues. A tweak to this is that a few key locations are locked away and cannot be accessed. If players can eventually take control of an NPC (Non-player Character) ally, they can get to these locations. Once things are underway however, a clock to the scenario starts ticking down. The players have a choice how they tackle this new challenge. An interesting aspect is that players can ‘win’ this scenario but still ‘lose’ adding additional difficulty to the campaign. The House Always Wins – A change of pace from the typical dreary locales, this scenario takes place in a speakeasy that also doubles as a gambling den. The players must investigate the area under the watchful eyes of various mobster types. If they discover clues while a mobster is at the same location, they can incur their wrath. A wonderful twist to this scenario is that the initial investigation has the players discover clues through different means by either spending resources or discarding ally cards. This comes into play shortly as the scenario has a sudden-explosion-everything-in-chaos moment that ratchets up the tension. Players will be thrown into a situation where every action counts. So ditching resources to help move the act cards quickly can also mean less choices to handle more difficult obstacles that come up later. It’s a great balance of risk versus reward. 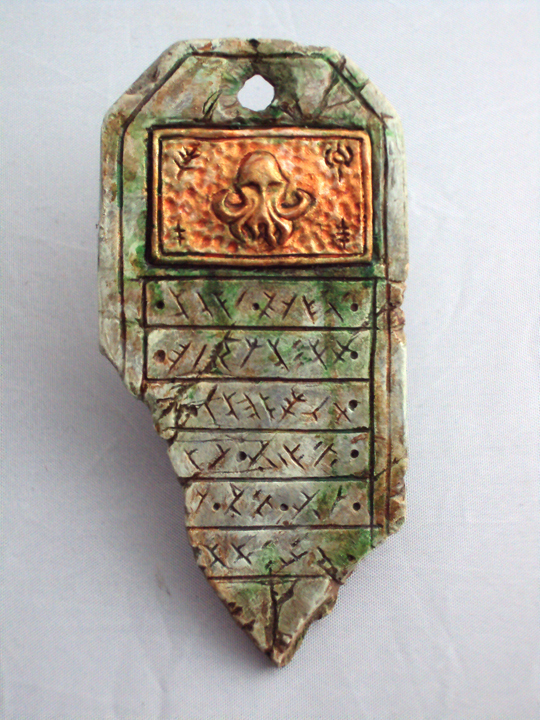 The Miskatonic Museum – This scenario has the players trying to search through a museum after hours in hopes of finding a translation of the Necronomicon. Rather than have an encounter deck filled with horrible monsters, there is a single phantom-like creature slowly stalking them. It’s a different take on the typical monsters in the game which I appreciate. However the results are a mixed bag. The monster is more of a harasser that builds up in power but never seems to be that much of a threat. It instead becomes more a monster that’s managed through evasion and damage mitigation. Still the scenario has a nice feel of trying to search through sections of the museum. Also there are different ways to approach key challenges, including a choice right at the onset of the scenario. Lastly, if the players are successful they are offered a dangerous asset of the necronomicon itself. The card ability is tempting, especially for Daisy Walker, but there are unforeseen consequences for the players if they take it. A fun choice to make campaign playthroughs a little different each time. The Essex County Express – This scenario takes entirely in a train traveling to the rural village of Dunwich and the investigators soon learn that things have gone horribly wrong. They are in a frantic race to move from car to car, ever trying to get to the engine of the train. With different train cars and engines, along with a variety of orientations of the locations, this scenario has a fair amount of replay. It can also lead to some wildly challenging games where some are horribly difficult, and others fairly easy. Overall though I love the concept. Players soon learn to carefully glean clues from the agenda and act decks, as they can find out the hard way how the scenario agendas progress. I can totally see future scenarios where a similar progression and how locations are altered can be used in different environments (like a sinking ship, with investigators hurriedly traveling between ship compartments). The outcome sort of falls flat though. It’s more of a hard win/fail of sorts for them. Blood on the Altar – The players have finally entered Dunwich where things seem awry. This is a wonderful scenario. Players are tasked with finding key locations and have a choice of either fighting or solving their way to a win. The outcomes of the scenario can be either crippling or a mild inconvenience. This scenario can result in unique allies being removed from the game, making the outcome have far reaching consequences for the campaign as a whole. The scenario also introduces an interesting creature encounter card. Whippoorwills are aloof creatures that are more of a hindrance than a threat. Players have to spend a fair amount of actions to remove them. They add a clever mechanism to adding difficulty to the scenario over a static condition that a player accumulates. Undimensioned and Unseen – The Dunwich village is now under threat as several creatures rampage through it. What breaks up this monster battle is that players must first discover a key location and obtain items that will allow them to attack the creatures. One great aspect of this scenario is particular locations can also interact with the creatures. This gives the scenario a fun cat-and-mouse type of play, allowing the investigators to manipulate the creatures through judicious use of location abilities. This scenario also has a similar vibe to Midnight Masks from the core set. Players are set with a practically impossible task. They have to try and do as well as they can and might have to just cut their losses and resign. It doesn’t mean the end of the campaign, but by not completing their objective in its entirety can make other scenarios far more challenging. It can be a difficult choice whether to soldier on and be eliminated, trying to fight to the last, or run for their lives. Used judiciously in a campaign I can appreciate this, and it works well here. However the scenario as a whole is pretty much a monster hunting battle. Where Doom Awaits – First let me give some appreciation to the designers of the game regarding a decision how this scenario resolves. Throughout much of the campaign (rightly) if players fail they can still carry on. Metagaming, players realize there is another scenario pack to the campaign, and likely rest on that knowledge knowing if things get too difficult, they can lick their wounds and try again for the final scenario for the campaign. The designers went with a decision that might surprise some people. I dig it and appreciate the direction the campaign takes because of it. Now onto the part where I piddle on this scenario. Throughout the campaign, players can build decks to get around having a poor lore skill to investigate for clues. This scenario dumps that on its head. There are specific location abilities that investigators must utilize to advance the act deck. If the players cannot do so, there may be negative outcomes with severe campaign consequences. What adds punishment to this game element is that the location abilities can only be attempted by an investigator once during their turn. If you have a low lore skill character, you will probably lose this scenario. I just feel it’s a poor design choice. Now the scenario itself can be all over the place. The variety of locations along with an encounter deck that has a kitchen sink makeup, means you can have wildly different plays. Some games will be pretty easy. Some will be incredibly difficult. I like that you need investigators that can fight as well as others that can scoop up clues. However it’s marred by the abilities on key location cards which require a once per turn attempt to investigate. If ever there were scenario errata needed, it would be for this one. Something needs to tweak how the game progresses (ex. if an investigator fails, they can attempt the location action again). However how the mechanics of the card function, even standards like flashlight are useless so something else more drastic might be needed. This effect sort of breaks the scenario and given the larger repercussions to the campaign as a whole, it can leave you with a sour taste in your mouth. Which is a shame as what follows this scenario is so great. Lost in Time and Space – How this scenario plays out is interesting. There is a single location in play and players must go through the encounter deck to discover more. Further, the paths from the locations twist and turn about, where you find in order to proceed to key act locations you have to work through several already on the table. This process gets more difficult as locations can disappear, needing be be drawn again from the encounter deck. Further, players and creatures can find themselves teleporting from location to location. It can be a frustrating experience, but at the same time it captures that chaotic, warping sense of a constantly shifting landscape with ever degrading sanity hampering the investigators. As a small bit on the agenda developments, as each agenda rolls out players make tests based on past events, even those from the first couple of missions. I really enjoyed that part. It wasn’t a perfect fit, but still a pleasant attempt at demonstrating the lasting consequences of past actions. Additionally I enjoyed the possible resolutions for the scenario and also for the campaign conclusion. You can potentially be lost forever and still manage a heroic win. The final showdown can be avoided or be a slugfest with the elder god, Yog-Sothoth. Much of the encounter cards and locations chip away at the player’s sanity and this greater abomination does the same. You might consider the scenario a little too lopsided towards mental damage, but I feel it fits the theme of the final locations well. Final Thoughts – A key theme for many encounter cards is running through a player’s deck by discarding undrawn cards. One particular encounter card will inflict immense physical damage if a player runs out their deck. This essentially adds a timer to the game as they’re unlikely to survive this effect. Fortunately the players are exposed to this early on and can try to mitigate it as they gain experience. However it does introduce a different time challenge for the player which I like. I will admit some elements are hamfisted with how they are added to the campaign. I love outcomes with some scenarios that add a specific weakness to your deck. But there are also ones where you add a random weakness or chaos token for no real reason except to ramp up the difficulty. Similar effects based on outcomes and choices from the players just feels much more enjoyable. Overall Dunwich Legacy has more hits than misses. Being the first big expansion campaign, I don’t think it strayed much from the core set experience which is good. Yet the designers still managed to get some mechanisms and scenario elements that add to the typical game you’d get from the core set. I bite my tongue a bit though with giving it a glowing recommendation because a critical end scenario (Where Doom Awaits) can certainly thrust the player into an unwinnable situation. The story environments also knit well, with only a few that feel out of place (Essex County Express). Overall it just seems to capture a more intimate experience with most of the scenarios revolving around Dunwich, which can potentially lead to this otherworldly environment. Maybe people wanted a globe trotting adventure, but I enjoyed the more rural locations it went for. As of this review there is another complete expansion out, with a third being released in the next few months. Players will certainly be spoiled for choices and possibly these other expansions might eclipse the Dunwich Legacy. But if looking for an expansion with classic Lovecraft theme that builds on the core set, interesting investigators, useful player cards, and offers a full campaign experience, the Dunwich Legacy is a fun one. As I mentioned before I like the Auction from The Asylum and other Tales. It’s got some clunky parts though, notably how the auction plays out. The other is somewhat the greater mystery that presents itself later. For new fans of CoC, it’s a great adventure and one I highly recommend. If you’ve got interest in playing it, go shoo and let the rest of this grumbling be for just the keepers and GMs. Spoilers ahead. What trips up the scenario for me is you have this excellent set up with somewhat of a mystery. However you have 8 suspects that aren’t really suspects. It’s clear to the players some kind of creature took the Brass Head. And even after all the investigation the PCs do, it’ll rely on Ausperg stating three of the participants tried to buy it from him before the auction. That’s sort of a waste of session time. I don’t have a complete fix for this. Even with my changes it’ll railroad the story some. But at the end of the auction night, at least players will have 2-3 suspects that they can track down based on clues they found themselves (allowing Ausperg’s information available as a backup if players miss out on key points). So there are two main aspects I changed. One was how the dumbwaiter operated. The other was how the auction progressed in the evening. I had the dumbwaiter have call buttons on at the top floor, while in the basement there was only a button to close the door. The critical point was that for the dumbwaiter to reach the upper floor someone had to push the lift button calling it up. The second part was allowing a 6-8 minute break in the auction. At that time four of the participants would leave the room one at a time. PCs could ignore half of the auction guests and focus only on the ones that left during the break. So the auction played out with about half of the items being bid on. Then a break was taken in the bidding where most of the guests stayed in the auction room. Some would leave and remaining guests would try and engage with as many of the players as possible in idle conversation. Everyone would return for the second round, with one of the lot items in tow. After bidding for the item, Ausberg would ring for the Brass Head. Time passes. Eventually one of his staff investigates and finds bloody remains and the item missing, just as the scenario describes. Now onto the clues for the investigators. The Dumbwaiter As mentioned it only has call buttons on the second floor. The second floor has 3 buttons. One to close the door, one to send it down to the cellar, and one to call it back up. The basement only has a button to close the door. So the waiter could only have been called up from the basement from the second floor. The dumbwaiter will also only move between floors if the door is closed. However the door can be closed and opened from the inside by manually doing so (or being quick enough to push the button and draw back their hand inside the dumbwaiter). There is blood and gore in the dumbwaiter. It takes about 2 minutes for the waiter to move up or down to the cellar. The Auction Prep-room The door to the room does not appear to have been forced open (it was never locked as a servant is supposed to be inside at all times). There is gore and blood everywhere, including in the dumbwaiter. One of the surviving prep-room servants will state when they retrieved the lot for the second round of bids, everything was in order. They will admit sheepishly they had stepped out for a smoke when they were supposed to be in the vault during the break. The other servant had slipped downstairs for a cup of coffee. The servant will state that his fellow servant was in the room when he returned from a smoke. He cannot recall if the dumbwaiter was in use then. So there was a time when the prep-room was unlocked and possibly no one was inside during the break. The dumbwaiter could have been activated during that time when no one was in the room. – Lesek Czernin was the first person to leave during the break. – Klaus Hunderprest (the ‘murderer’) was the second person to leave the room. – Margaret Jameson left the room third during the break. – Sir Martin Murray was the last person to have left the room. The important bit is that Hunderprest was the 2nd person to leave, openly claiming to needed to use the toilet. Sir Martin Murray was the last to leave during the break quietly planning on doing the same. Yet Sir Murray entered an empty bathroom, and saw Hunderprest enter when he left the toilet. This is a small clue that there was some lost time in the events described by Hunderprest (Hunderprest left first claiming the need to use the restroom. Sir Martin Murray enters an empty bathroom only to see Hunderprest enter as he was leaving it). As players make their rounds of investigation of the four, some additional information is gleaned from each one. – Lesek Czernin will be secretive on what he did during the break. He appeared agitated and tense once the break in bidding was called. Lesek actually leaves the house to approach a car parked outside. If tailed and observed by a PC, Lesek will have a conversation with a man in the back of the car (there are two others in the car, a driver and another person in the front seat). The car will drive off leaving Lesek to return to the house. If PCs are relying on statements from the house staff, a servant will only state that the Lesek was directed outside of the house and they saw them leave and return (but not see what they did outside). Lesek is a red herring. He was simply conversing with his patron on the status of the auction. – Margaret Jameson (3rd person to leave the room during the break) will have claimed she needed to speak on the phone. Margaret went downstairs to make a call. When she returns, she will be rather agitated. If not observed by a PC, a servant will state she went inside a downstairs room. If players investigate further, sure enough in Ausperg’s office the telephone will have shifted from its proper place on the desk as if someone had used it. She will not initially freely speak of whom she was calling and be rather deflecting if pressed. In reality it was to her father to beg for more money for the auction and she was refused. – Sir Martin Murray (the last person to leave during the auction break) will also claim they need to use the washroom. He will be rather defensive if asked what he did during the break, simply stating that he was answering nature’s call and be rather standoffish about any details. The truth was that the food during dinner was rather rich, he had a horrible bout of the runs and was exceedingly embarrassed to mention it. After some intensive questioning he will grudgingly admit he may have heard some footsteps in the hall while in the toilet but was unsure. After washing and stepping out of the toilet, he noticed Klaus Hunderprest entering the same bathroom. – Klaus Hunderprest (the second person to leave during the break) will have announced to other guests as he leaves he need to visit the washroom. During the break, he will slip into the empty auction prep-room and activated the dumbwaiter. After calling up the dumbwaiter, Klaus will enter the bathroom and see Sir Martin Murray leaving. In the cellar, a ghoul will have broken in and be waiting inside the dumbwaiter. The ghoul will go up the waiter and wait for the commotion of people outside to go to a lull. It will stealthily exit the waiter, kill an assistant, take the Brass Head, and then take the dumbwaiter down to the cellar (pushing the buttons and closing the door while inside it). Through conversation, Klaus Hunderprest’s story should not add up. If cornered in questioning, he will finally claim that he will no longer take part in any further investigation. He’ll stand by the notion that he surely did not rend the poor servant limb from limb and steal away the Brass Head. The incompetence of the police will back up this statement from Klaus. It’s a bit of railroading but at the end of the night, Hunderprest will be free to go. However players should have him as suspect number one in being involved with the murder. If things fall short with the investigation, Ausperg can drop a hint that Margaret Jameson, Lesek Czernin, and Klaus Hunderprest were all people that approached him to buy the Brass Head. If another nudge is needed to guide players to Hunderprest, a confession from one of the house servants selling the floorplans of Ausperghaus and the staff assignments to Klaus can also be utilized. At the same time, Klaus will likely know the players are suspicious of him. This can allow for Hunderprest to be more proactive hiring thugs to tackle with the PCs. This situation can then help kick more adventure into the investigation if needed (and interrogation of the thugs leading back to Hunderprest is also another clue if needed). These changes in events really helped tighten up the entire murder investigation some. It’s apparent that something got into the house and stole off with the Brass Head, but the players will have a much more solid notion that Hunderprest was somehow involved. It also makes the follow up investigation to find him a more direct affair. Additionally by framing the events more as a murder mystery, it also allowed my group to work out their detective chops and stretch their investigative legs some. The Auction is a classic adventure for Call of Cthulhu taken out of the 1983 collection, The Asylum and other Tales. I dearly fell in love with the idea of the scenario and used it for my own Cthulhu Savage Worlds game. 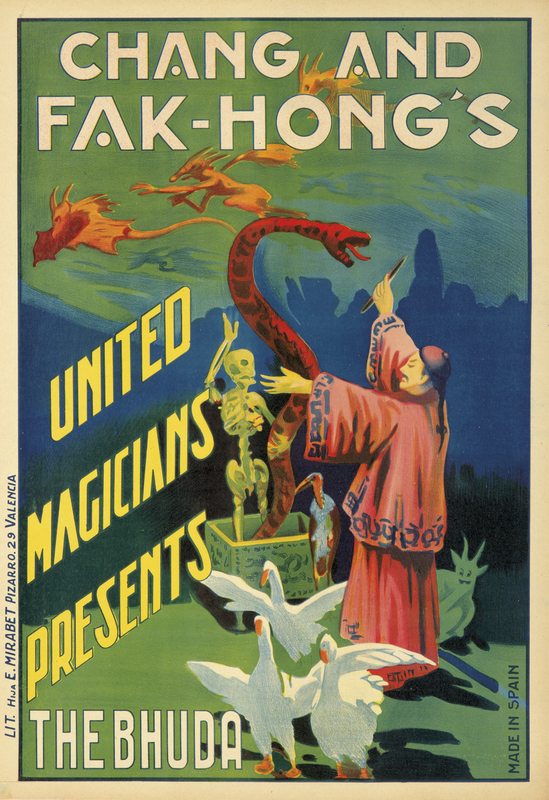 For folks not familiar with the scenario, players participate in an auction set in Vienna during the 30s for several rumored occult items. After the auction well…let’s just say things go a little pear-shaped. It’s a great adventure full of intriguing theme and certainly one of the better scenario setups. For new fans of CoC, it’s one I highly recommend pleading with your keeper to take a peek at and consider running it themselves. I’ll leave it at that with the details. If you’ve got interest in playing it, go shoo and let the rest of this grumbling be for just the keepers and GMs. Spoilers ahead. As I mentioned I’m a fan of the Auction. It works well as something to fold into an existing campaign or for a one shot. It’s not perfect however and seems there are some glaring hitches with the the adventure. One is the auction itself and the other is somewhat the greater mystery that presents later, of which seems to causes problems when running it. I’ve opted to break this up over into a couple of posts talking about how I handled it for my players and the changes made to make it a more engaging adventure. The first issue I’ve got is the auction itself. For a continuing campaign, this is likely a decent adventure hook. It’s something to allow players to establish contacts in Europe and a means to pick up a few occult items. However I’d put money on most people playing the Auction as something of a one shot session. Most folks aren’t going to have an ongoing Cthulhu campaign. There is a different draw to getting investigators to participate, and that as being cooperative bidders for a third party. For my game this is the route I took and felt it made a stronger hook. Players are asked to utilize their occult expertise to ascertain the authenticity of certain items and cunningly bid on lesser trinkets to drain the resources of other bidders. All in hopes that the group can eventually scoop up some items their patron is keen on obtaining. I loved this idea and recognized it could be a sort of mini-game within the game. What cements playing the auction out as a useless exercise is the twist in the middle of the event. There is a murder and the entire auction is halted. Half the items players likely have researched and pondered over won’t even be bid on. I loved the concept, but actually playing out an auction just seemed to mess with the pacing. It had some merit but a faster resolution was needed and players had to have a stake in all the auction lots, just not the ones they were interested in. Firstly, I had their patron tell the PCs he was interested in about 6 different items from the auction list. He forwarded them a line of credit including a lengthy legal agreement. They would return all the funds placed in their accounts that were unspent and hand over any items successfully bid. I didn’t use actual numbers for cash though. Instead I gave every player 3 credit markers. These represented funds that would be used for the auction. NPCs had 3-4 markers themselves. If anyone was out of markers, they were out of the auction. PCs got a list of wanted items from their patron. To sweeten the pot some, if a player got an item and had 2 credit markers remaining at the end of the night, they’d get a cash bonus. In game terms, I offered players a bennie if they won a bid for an item desired by their patron regardless of cash spent obtaining it. Thier objective was to try and gain as many items on the list, while carefully bidding on unwanted items to run through the NPC’s cash. If they blew all their cash and got items not wanted on the list, they were stuck with a bill and/or having an NPC they owed a big favor to. Each auction bid round required players and NPCs to make trait test based on either persuasion or intimidation as primary checks. Secondary trait checks could be made with a -1 penalty for notice or smarts. I felt a -2 penalty for being unskilled would not apply and smarts could always be used. Intimidation and persuasion might be considered an odd choice, however they seemed good candidates in either goading NPCs to bid, or putting up such a strong front they could stare down competitive bidders. Gambling could also likely be a decent choice for a secondary skill. Roughly half of the NPCs would be wild cards. Before each auction item, I randomly determined which NPCs would be actively bidding. At least half of the NPCs (rounding down) would bid on an item if they had 3 or more credit markers. If all NPCs had 2 or less credit markers, at least one NPC with some credit remaining would always bid, and this lone bidding NPC should be a wild card if possible. Now winning or losing an item depended on what was being bid for. Players had to have at least 2 credit markers to bid on an item. NPCs needed at least 3, but would bid if they had less depending if any other NPCs weren’t bidding (as mentioned above). For lots that the patron wanted, the PC or NPC that got got the highest check on their trait test won the item, and would spend their 2 credit markers. If a player or NPC aced their trait test they could take back one credit marker (multiple aces have no effect i.e. at least 1 credit marker was lost if they won a bid). Note that these were not trait challenge rolls or tests of will. Each player/NPC made the appropriate check and the highest roll won. For auction items the patron didn’t want, the player/NPC with the lowest trait roll would ‘win’ the unwanted item paying 2 credit markers. For each ace that PCs or NPCs rolled beating the lowest trait score, that player/NPC put in an extra marker up to a maximum of 4 (or 3 if they were an PC). So not only had the others gotten the player/NPC to be the highest bidder for the unwanted the item but they had severely overbid for it. In the case of a tie, players can put in an additional marker to automatically win over NPCs (or other players). If both players put in a marker, they make another check and keep rolling until one player wins. Players didn’t get this extra spent credit marker back if they won the bid, even with an ace. This set up for a mini game. At the start there were several NPCs bidding for items. If players rolled well for unwanted items, they would slowly decrease the number of NPCs attempting to bid for future rounds. PCs also wanted to try and roll as high as possible for the patron lot items. If they got lucky and aced their rolls, they might win a bid and not spend as much cash. Plus there was always a bonus of getting a bennie if they won the item. This worked great. It resolved fast. It kept everyone trying to roll high regardless if it was an item their patron wanted or not. Players wanted to gain items as it gave them bennies. They also were engaged and active in just about all the auction lot bids. I scrambled the lot list order some and made sure only half of the 16 items were bid on so only 8 items were bid for. Yet this moved pretty quickly and allowed me to get onto the second part, the murder mystery. 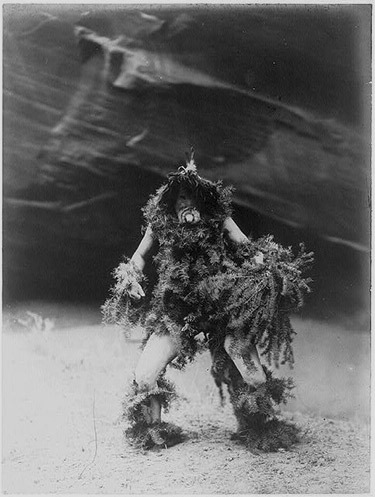 As I blogged about a while back, I am running a 1920s Cthulhu game on the side along with my regular Weird West campaign. I lifted an idea from the Secret Cabal Podcast which I found rather inspiring. Rather than your typical game where someone would initially approach the investigators to tackle a specific mission looking into the supernatural, instead it would be based on what the players wanted to look into. It’s a plot crawl campaign. It’s much like your good old fashioned hex crawl game. While there isn’t a map of randomly generated content, it’s open ended to allow players to go where they will. Like a hex crawl game, a plot crawl has adventure seeds acting like a map of sorts with a few details laid out to grab the player’s interest. They make the choice where to go and what to look into. Sometimes more choices might branch out depending on what they investigate, but they can turn around and poke their heads into another ‘section of the map’ investigating some other adventure plot if they want to. It’s designed to run very much as an episodic game. There really isn’t any over arching story. As things progress, you can have recurring villains, NPCs, and past events to weave back in as details if needed. It’s immensely flexible as you can tailor the game to deal with past events and players, building up a larger story, or just go for the ‘serial adventure of the week’ format instead. None of this has to be planned out either. You just think of 4 or 5 different adventure seeds and run with it. The details will be fleshed out as the game is played. My players started the session being called together by a lawyer overseeing the estate of a recently deceased professor. All of them knew the person and had a relationship with him (be it a relative, colleague, etc.). They were each individually named in the will to be present for the opening of a trunk of the professor’s belongings. They were all led into a room, given a key to a small trunk, and left alone to go through the contents. Inside the trunk they found different files, photographs, and other tidbits of strange information. I had made up a series of props in the manner of photographs, handwritten letters, and fake newspaper clippings. Each group of clues were given codes to match as a set (so all the clues for adventure G were together, while ones for adventure B were in another set, etc.). The players could rifle through the papers and pictures, and decide what they wanted to investigate. For my first setting, I did kick things into high gear having the lawyer killed under exceedingly strange circumstances. This was followed up with the players being hunted by undead lackeys. All of it emphasizing that the strange did exist, and there were evil forces at play which knew the players had knowledge to secrets better left unknown. However at the end of the session I gave the players a task. They needed to continue going through the contents of the trunk and decide that night what they wanted to investigate as a group for the next session. All the clues were fragments of some story, location, or odd supernatural thing. I made it a point that there were more papers and files within the trunk (meaning I would add more to the trunk later), however there were 5 different sets of clues and props for them to go through at first. This really worked well for the group. It was a task to have them decide on what to do next (expect at least 30 minutes or so at your table). However it really cemented the feeling of them investigating these clues of weird, strange events. That there was another layer of occult existence under the normal world around them, and they were slowly unearthing it. Best of all, I knew exactly what the next adventure would be and it was based on what the PCs wanted to investigate further. It is a bit of a chore to create some convincing props. However I didn’t have to flesh out any adventures. I just needed some ideas of a location, possible NPCs, and some weird thing for the PCs to look into. So you don’t have to have six different adventures fully prepared at the beginning, just a few ideas presented as six different sets of clues. As the players pick what they want to look into, I can turn around and work on that adventure specifically. Since many of the details were rather vague, I could even use an adventure generator for assembling the next adventure if needed. It really is a surprisingly flexible way of providing adventure seeds where the players get to give input on where to go next. Something like this can be adopted for other settings and I am really beginning to take a shine to it. Maybe it would be printed public notices posted around a fantasy city, or an infonet log players would look through in a sci-fi campaign. Either way, all I would have to do is sketch out a few ideas and let the players decide what they wanted to check out next at the end of the session. If you are struggling to think of ideas for your next campaign consider running a plot crawl, with props and leads for the players they can provide some inspiration for further game sessions. My weird west campaign is still chugging along. However I found myself dragging a bit with it. While I was gung ho at the onset, I found myself getting a little uninspired thinking up adventures. My players seem to be having a good time, but sometimes I’ve been struggling to keep up the enthusiasm for the setting. I’m convinced now I’ve been approaching it all wrong. I wanted a spooky western. Yet I found keeping that suspense going has been a chore. There have been plenty of ‘Oh sh*t!’ moments my players have had. However maintaining that tension is just too hard to keep up. 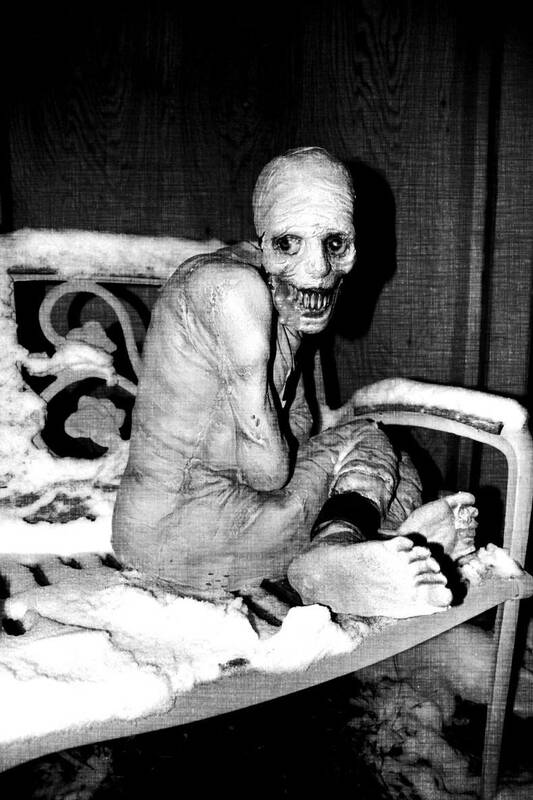 I simply don’t have the GM chops to run a longer horror-themed game. I realized I didn’t need to though. I’ve recognized the player’s aren’t quite the investigator types with their characters. Running it as a Savage Worlds game, they are much more heroic. I needed to drop off emphasis of the supernatural and shoot for a western game with horror trappings instead. It’s a better fit now and I think I can keep a more even tone with the game. It still leaves me with the adventure-planning burnout though. I certainly need to shake up the setting some and run something else. I took a poll of potential settings and decided to lump a 1930s Cthulhu game in with potential choices. Seems horror is popular as the group wanted to take a stab at a Lovecraft supernatural game. It’s still horror, but I can certainly run it as a different type of game. The weird west campaign is one where the PCs run around as larger than life heroes, blowing holes in zombies with a trusty peacemaker. This other campaign the players will be wary investigators, needing to be prepared to flee, their mind cracked and sanity waning due to the terrifying knowledge of the Great Old Ones they encounter. More importantly, I can run this as episodic sessions. Just a short break from the weird west game that will let me recharge my GM batteries and craft some fun ideas when we all flip back to a western setting. Savage Worlds is pretty flexible as genres go. However, I am super lazy and having some pre-made setting rules makes the task of running a new game much easier. I picked up Realms of Cthulhu and found the book a great purchase. It has a lot of options for different ranges of lethality and think the sanity system works pretty well. There are plenty of NPC templates and critters, not to mention a random adventure generator I can use in a pinch if needed. I’m trying a different way of running this campaign, with a lot of story ideas up front leaving the PCs to decide what to check out. To pique their interest in potential story lines, I’m working on getting some props together. Likely that is something to warrant another post but I want to see it in action before talking about it. As resources go, I’ve found a ton of wonderful online stuff including sites with lots of cool photos. 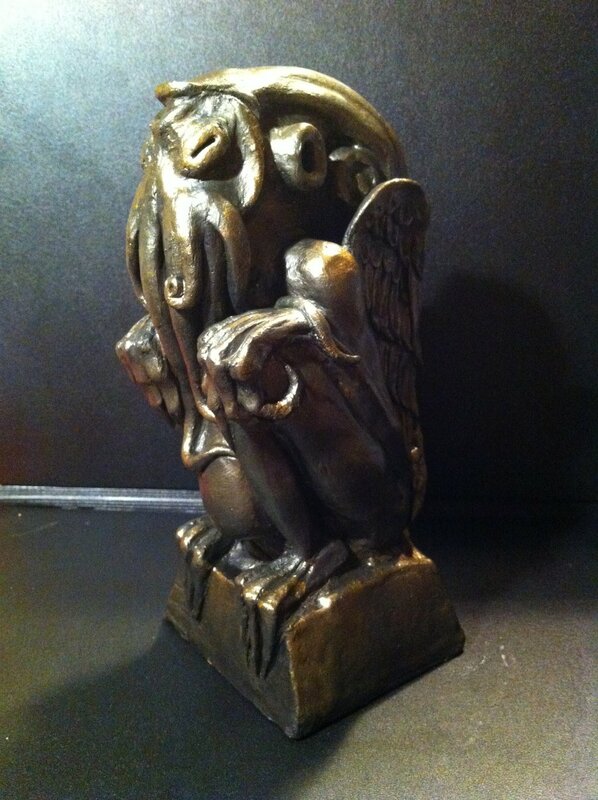 Definitely looking forward to getting a creepy Cthulhu game going soon.